NIA CHARLESTOWN NEVIS (APRIL 13, 2016) — The following is a speech delivered by Deputy Premier of Nevis and Minister of Tourism Hon. 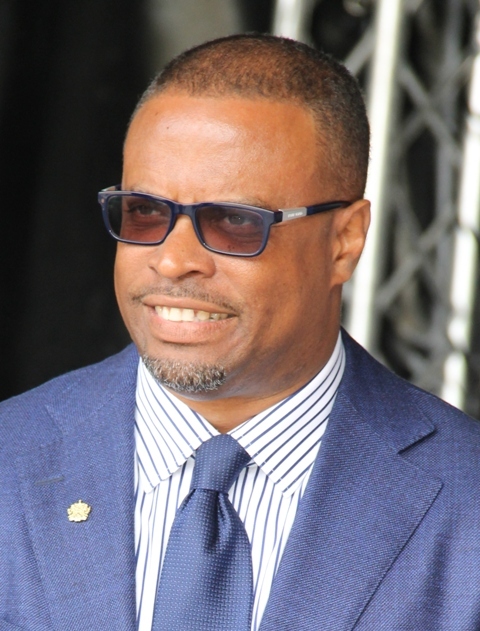 Mark Brantley on April 13, 2016, to launch Exposition Nevis, a tourism awareness campaign by the Ministry of Tourism. Tourism, for decades has been the major revenue earner for businesses on Nevis and the number one engine for economic growth and development on our island. Over the years we have watched our economy grow and develop in direct correlation to the growth and development of this critical tourism sector. From fisher folks to farmers to taxi and tour operators to restaurants to supermarkets to hotels and guest houses to local artisans and to purveyors of all forms of goods and services, we can truly say that tourism affects each and every one of us in Nevis. It is truly everybody’s business. Our island of Nevis has a long and rich tourism legacy. Indeed, the first luxury spa resort in the Caribbean, the Bath Hotel, was constructed in Nevis on the plains of Bath in 1778, where the beautifully landscaped gardens were known as “The Gardens of Jericho”. It was there that a ball was held to celebrate the nuptials of Admiral Horatio Nelson to Nevis Frances “Fannie” Nisbett. In attendance was Prince Williams Henry, Duke of Clarence who later became King William IV of England. Indeed, many of us would know that the same Bath Hotel and its surrounding grounds was the site of the very first 9 hole golf course built in the mid-19th Century making it the first golf course in the Caribbean and one of the first in the Western hemisphere. This, our little island of Nevis has a rich history indeed. As a consequence, we have been able to carve out a niche tourism product which is widely sought after. Our history, natural beauty coupled with our greatest asset, our people, has allowed us to attract some of the world’s richest and most famous personalities from business, politics, music, sports and entertainment. Our island has entertained Presidents and Prime Ministers, business moguls and sporting icons and a steady parade of well-known entertainment celebrities. They all comment that ultimately it is the personality and genuine warmth and friendliness of our people which makes our destination so incredibly special. I therefore pause to recognize and applaud our many local businesses, restaurants, hotels, and other tourism stakeholders which help to ensure that our guests return to their homes with everlasting memories of our little island. Indeed, the return visits by guests to some of our hotel properties is so high that many come to Nevis year after year as the ultimate testimony to the extent of their satisfaction with the quality of the experience that we offer. This, the Queen of the Caribees, is known for its many festivals and cultural events. Our festivals are used as a form of promotion to help showcase what our island has to offer. We have, in the past, celebrated Tourism Week to showcase Nevis’ tourism product and to celebrate the achievements of the Nevis Tourism Industry. This year our Tourism month has been dubbed Exposition Nevis under the theme “All things Tourism, Savour the Flavour” and runs from April 13th to May 28th, 2016. The timing for Exposition Nevis was also strategically chosen and positioned just at the shoulder of our high season. This is an initiative that we hope will help to reduce the impact of seasonality to our tourism industry. Exposition Nevis focuses on a wide range of activities geared towards a target market of guests be they land based, cruise or yacht visitors, local residents, local businesses and students. Please permit me to give special recognition to the Ministry of Tourism staff that has strategically developed and put together an exciting calendar of activities. As Minister of Tourism, I am inviting one and all to take part in the many activities we have spread over the upcoming weeks.